FOXBORO, Mass. — Bill Belichick was full of it on Wednesday morning. The typically dour New England Patriots head coach threw some humor into his morning press conference. Since Belichick coached in Cleveland for five years, his experiences with the Browns organization (which isn’t really the same organization as the one the Patriots are preparing to play, despite what the NFL may want you to think) were brought up. Belichick talked about how important his years with the Browns were and took an unsolicited shot at the Jets. "I was there for five years," Belichick told the media about his time in Cleveland. "It was five important years in my life, for myself, my family and all that. Obviously, we’ve all moved on, and I have a job to do here and that’s where my loyalty is, is to Robert [Kraft] and the Patriots organization and this football team. So it’s no different than how I feel, honestly, about the Colts, or the Lions or the Broncos. I feel differently about the Jets. We won’t put them in that category. "It’s good experiences with all of those teams, and we learned from them, grew as a coach, and as a person and as a family. But we’re at a different time and a different place. This is where we are now, so I’ll try to make the most out of this one." 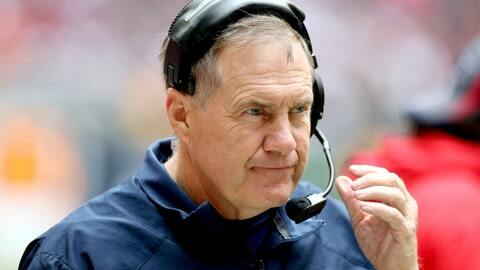 Belichick spent three years with the Jets as assistant head coach and defensive coordinator from 1997 to ’99. Belichick was New York’s head coach for one day after Bill Parcells stepped down from the position. Belichick chose instead to go to New England.